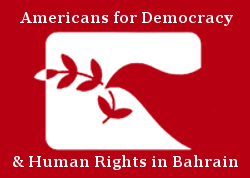 16 June 2016, Washington DC – Americans for Democracy & Human Rights in Bahrain (ADHRB) and the Bahrain Institute for Rights & Democracy (BIRD) are pleased to announce the release of A Midterm Report on Saudi Arabia’s UPR Second Cycle: Analyzing Saudi Arabia’s Refusal to Reform. Over the last several years, Saudi Arabia has pursued a larger role in the international community. The kingdom currently participates in the United Nations (UN) Human Rights Council (HRC) as a member state, and it recently held a seat on a panel that evaluated candidates for positions in the UN Special Procedures. In 2015, the Saudi government even considered campaigning for the HRC’s top post before withdrawing due to international criticism. The Government of Saudi Arabia continues to prove that this criticism is well-deserved. As it has worked to secure a more prominent place on the world stage, the kingdom has simultaneously ﬂouted international human rights standards. It has specifically failed to demonstrate its commitment to the HRC – the same international human rights body it sought to lead. On 26 December 2013, the HRC submitted 225 recommendations to the Government of Saudi Arabia as part of the second 4-year cycle of its Universal Periodic Review of Human Rights (UPR). The recommendations represented a wide range of reforms that – if implemented – would bring the kingdom in line with international human rights norms and dramatically improve the lives of its residents. Several months later, in February 2014, the Saudi government either completely or partially accepted 187 of the HRC’s recommendations. Two years on from its second UPR cycle, Saudi Arabia’s human rights situation has stagnated, if not actively deteriorated. The government continues to constrain civil society space, restrict free expression and religious belief, persecute political activists and human rights defenders, and discriminate against women, migrants, and minorities. In 2015, at the same time that it was privately lobbying for leadership of the HRC, the Government of Saudi Arabia also initiated a large-scale military intervention in Yemen – an operation that has been linked to thousands of civilian casualties. In this midterm report on the government’s implementation of the HRC’s recommendations, ADHRB seeks to provide an honest, accurate assessment of the government’s eﬀorts to enact the reform package detailed in its second UPR cycle. Based on a combination of first-hand sources on the ground in the kingdom, journalistic and academic materials, and oﬃcial documentation from governmental institutions and non-governmental organizations, ADHRB has assembled a comprehensive evaluation of Saudi Arabia’s human rights record and the eﬃcacy of its recent attempts to meet international standards. Our report finds that the Government of Saudi Arabia has so far fully implemented only one of the 225 recommendations of its second UPR cycle. Of the 187 recommendations accepted by the kingdom, 113 have not been implemented, 64 have been merely technically implemented with little to no substantive impact, and 9 have been partially implemented. In the thirteen thematic areas into which the government grouped its 187 accepted recommendations – ranging from criminal justice reforms to anti-terrorism measures – ADHRB found that only five displayed any measurable progress. Overwhelmingly, the Government of Saudi Arabia has chosen to simply ignore the recommendations of the international human rights community. Despite several improvements in the areas of combatting human traﬃcking, cooperating with the Oﬃce of the High Commissioner for Human Rights (OHCHR), and updating the HRC on its anti-terror eﬀorts, the government has largely failed to address any of the most pressing issues emphasized by the UPR. Saudi authorities have not implemented recommendations to reform the criminal justice or legal systems, curb or abolish the use of capital punishment, corporal punishment, and torture, or end the male guardianship system for women. Similarly, the government has taken only technical steps to prevent domestic violence, fight corruption, eliminate discrimination based on gender or religion, and strengthen the rights of migrants, among others. Moreover, and perhaps most blatantly incongruous with its ambitions at the HRC, Saudi Arabia has failed to ratify without reservations nine of the ten international human rights treaties recommended by the UPR. Although the Government of Saudi Arabia has two more years until its third UPR cycle, it has yet to give any indication that it will implement the vast majority of its second cycle recommendations. As a result, and especially in light of the kingdom’s enlarged profile at the HRC, we call on the international community to hold the Saudi government accountable to its human rights commitments and urge it to implement its UPR recommendations. The international community must make it clear to Saudi Arabia that before it can ever become a world leader, it must first demonstrate its respect for human rights at home.